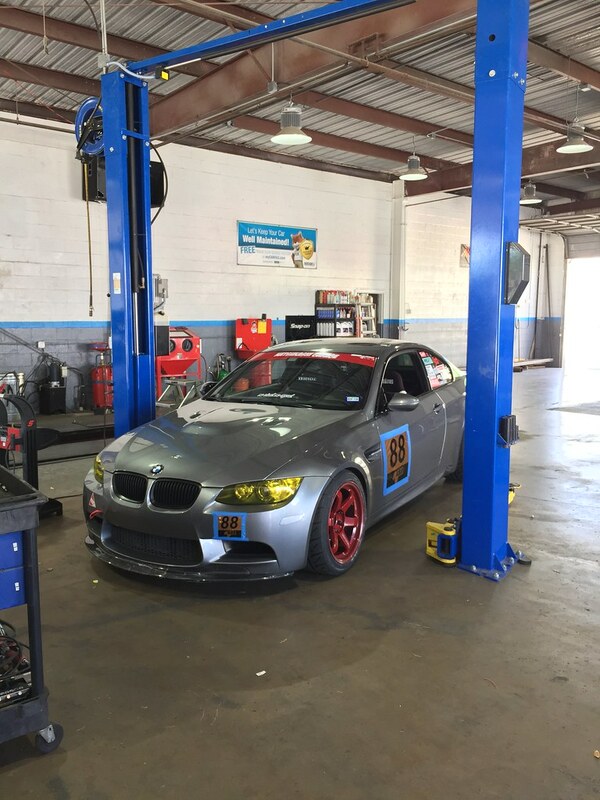 Last week I went to ABR Houston for a tech inspection just 3 days before track weekend at Circuit of the Americas (COTA), and thinking I would pass, I did it last minute. Thankfully Alex from ABR Houston was able to spot my motor mounts was shot. It was soo bad that the oil pan was rubbing on the skid plate! Not a good thing and glad they found it before race weekend! But it was super last minute and just days away from COTA, I was thinking I might miss the first day of tracking. Alex called up the guys at Vorshlag in Dallas, Tx and overnight shipped the polyurethane mounts. The next day, literally the day before COTA weekend, I received my car with the upgraded mounts. I know the guys at ABR Houston has a full house working on other customers cars but Im glad they was able to fix my car in such short notice. Before, on the stock mounts, I had a hard time finding 2nd or 3rd gear especially at the track. Vorshlag mounts made rowing though the gears a breeze without a noticeable increase in engine vibration. Thank you ABR Houston for fixing my car in such notice and Vorshlag for making a really good product.